On left side is the Breadfruit tree. Breadfruit (Artocarpus altilis) is a species of flowering tree in the mulberry and jackfruit family (Moraceae) originating in the South Pacific and eventually spreading to the rest of Oceania. 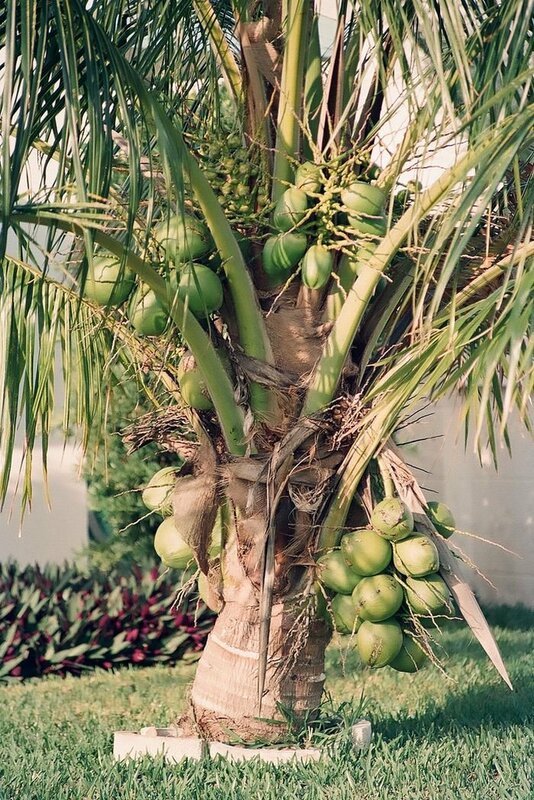 British and French navigators introduced a few Polynesian seedless varieties to Caribbean islands during the late XVIII century, and today it is grown in some 90 countries throughout South and Southeast Asia, the Pacific Ocean, the Caribbean, Central America and Africa. Its name is derived from the texture of the moderately ripe fruit when cooked, similar to freshly baked bread and having a potato-like flavor. 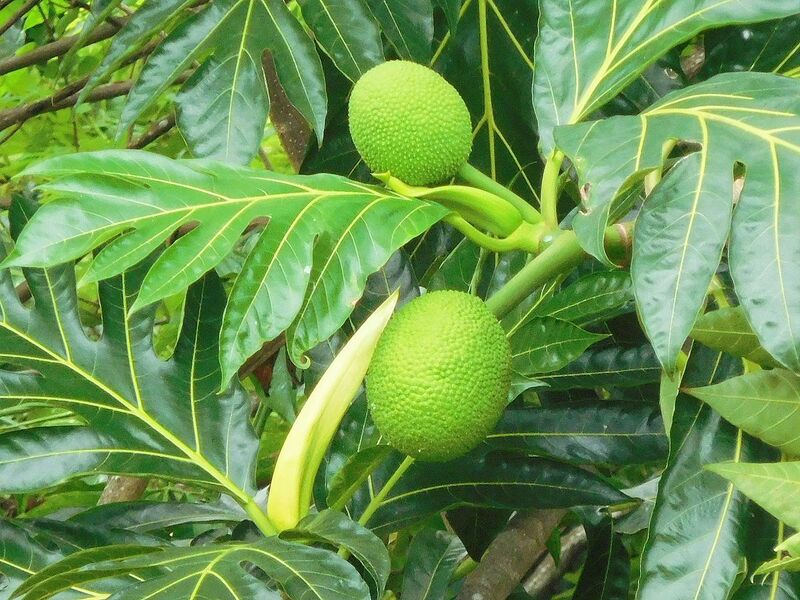 According to DNA fingerprinting studies, breadfruit has its origins in the region of Oceania from New Guinea through the Indo-Malayan Archipelago to western Micronesia. The trees have been widely planted in tropical regions, including lowland Central America, northern South America, and the Caribbean. In addition to the fruit serving as a staple food in many cultures, the light, sturdy timber of breadfruit has been used for outriggers, ships, and houses in the tropics. On right side is The coconut tree.